Do you find it difficult to concentrate on your work? There are several reasons why we cannot concentrate. Find out what’s behind your lack of concentration and rectify it. Skipping meals. If we don’t eat our meals on time and regularly, there is reduced blood glucose available for the body and brain which in turn reduces concentration power. Constant interruptions by social media messages. This can disrupt your flow of thought during work. Email overload. If your inbox is crowded with different kinds of emails, and is constantly receiving new emails, it can distract you from your work because the curiosity to know what’s in the email can turn your attention away from what you’re supposed to be doing. Boredom. If you’re bored of what you’re doing, concentration slips away after sometime. Stress. Too many things to handle, nagging thoughts, family worries, etc can cause stress and reduce concentration to a great extent. Depression. Lack of concentration is one of the symptoms of depression. Lack of sleep. If you’re sleep deprived, your concentration level dips. To resolve the problem of concentration, eat healthy, eat regularly, divide your time between personal, family and professional work, disconnect / turn off your computer for a few hours in every 24 hours, switch off your cellphone for a few hours at night to sleep better, develop hobbies, take micro-breaks between your work, use deep breathing or meditation to relax. If nothing works to improve your concentration, seek help from a qualified counsellor. 0 Comments | Posted by admin at 6:13 am. Leave a comment! I’ve been asked “how much cholesterol does coconut oil contain?” countless times. And I repeat here – there is no cholesterol in coconut oil. There’s no cholesterol in fresh coconut, dry coconut, tender coconut or any other coconut product! 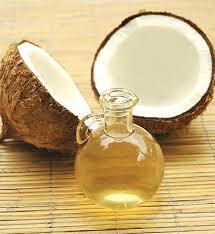 However, coconut oil has been maligned in the coronary circles because of its saturated fat content. The latest thinking is that trans fats do more damage to the heart and blood vessels than saturated fat. 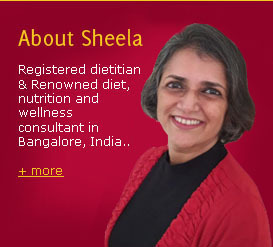 Also, nutrition science has always allowed small amounts of saturated fat in the diet and perhaps this is one of the reasons why the usage of coconut oil has not completely died down in India. On the positive side, coconut oil contains a type of fat that is found to be beneficial, particularly for those who cannot digest fats easily. Blenderised feeds given to patients in hospitals often use coconut oil because it can be digested and assimilated easily without causing any damage to health. Also for those who require high calories, coconut oil is a good source. Coconut oil oxidises slowly compared to the high PUFA oils. This results in lesser amount of free radicals. Despite its positive effects, if you decide to switch to coconut oil for cooking, restrict the quantity. Remember that all oils must be taken in limited quantities. Virgin coconut oil is now available in the market. A young Bangalorean, Kaavya Nag, has started to make 100% virgin coconut oil without using any enzymes, chemicals or heat. Completely natural, Coconess (that’s the brand name) coconut oil is extracted from fresh coconut milk in the traditional manner. Check it out if you wish. Try to use coconut oil in your cooking once in a while……you might end up loving it! 1 Comments | Posted by admin at 4:35 am. 1 comment. A relative of mine was recently diagnosed of breast cancer. Apart from obesity, there were no known risk factors. While discussing her illness with an oncologist friend of mine, I was shocked to hear that this oncologist sees about 30 new cases of cancer every month! Can you imagine the number of cancer cases in Bangalore and India each year? According to statistics, one out of every 20 women in India is likely to develop breast cancer. This is more prevalent in urban women than rural women. Risks for breast cancer include gender (women), age over 40, family history, early puberty or late menopause, prolonged use of contraceptives or hormone therapies, excess weight, high fat diet and less physical activity. The good news is that if detected early, the chances of cure are higher. Self breast examination plays a very important role in early detection. Examine your breasts every month, and get them clinically examined by your gynaecologist at least once every 3 years. 0 Comments | Posted by admin at 6:43 am. Leave a comment! Sorry folks. I haven’t written in a while because I was buried under work after my return from vacation. I’ll start writing regularly again. 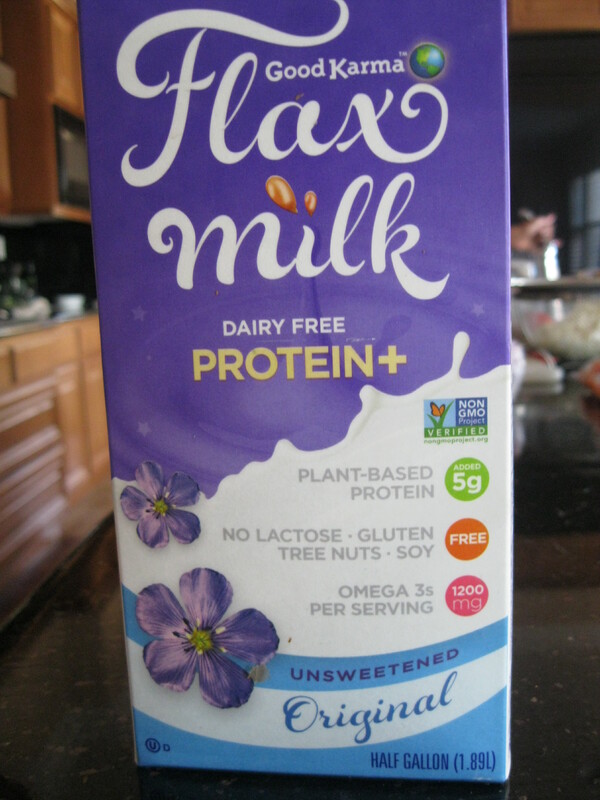 During my recent holiday, I came across ‘flax milk’ made from flaxseed. Over the years during my foreign travels, I had tasted rice milk, peanut milk, soy milk and almond milk. 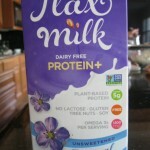 This was the first time I saw flax milk. Tasted it and loved it, although no one else in the family thought it was good. The highlight of flax milk is its omega 3 content. 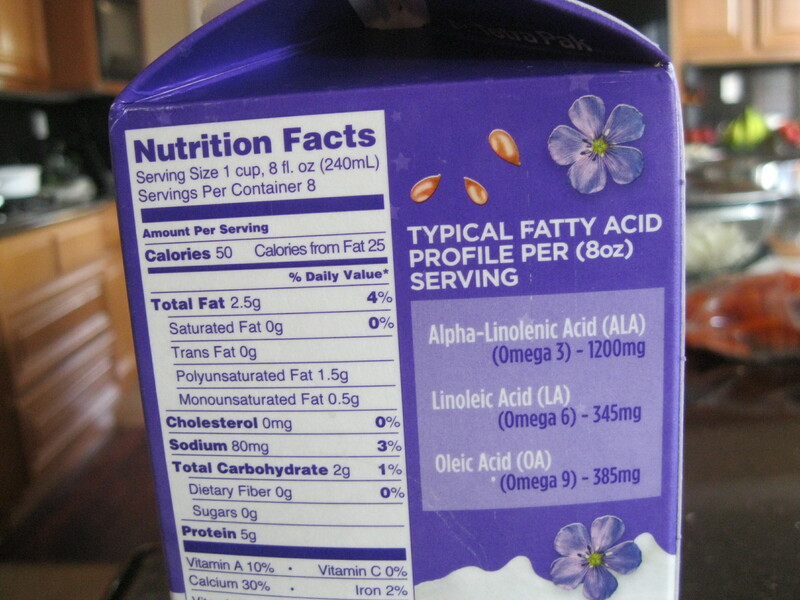 A glass of flax milk has 1200 mg of omega 3 fatty acids and much lesser amounts of omega 6 and omega 9. 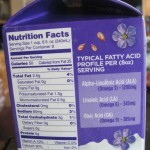 For those who are lactose-intolerant, this is useful because it contains no lactose. Needless to say that there’s no cholesterol because it’s a plant product. If you’re wondering how to get good amounts of omega 3 in your diet with no access to flax milk, then include flaxseed powder or fish in your meals regularly. Omega 3 fatty acids are useful for brain function, to possibly reduce the risk of inflammation, heart disease, diabetes and many other modern day health problems. 4 Comments | Posted by admin at 3:35 am. 4 comments already!